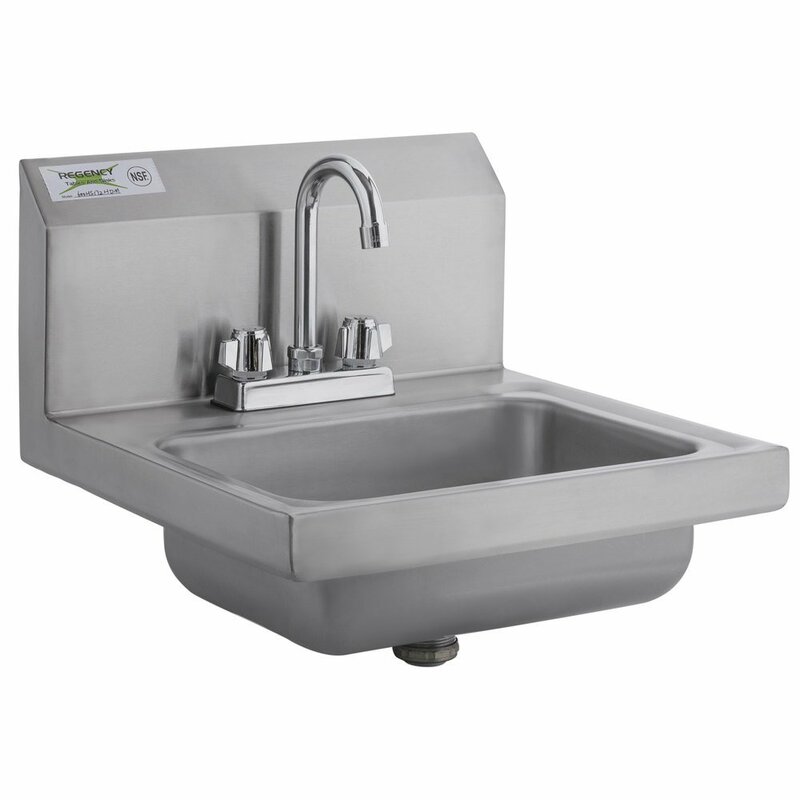 Keep your restaurant up to code without sacrificing space by using this 14" x 10" hand sink. 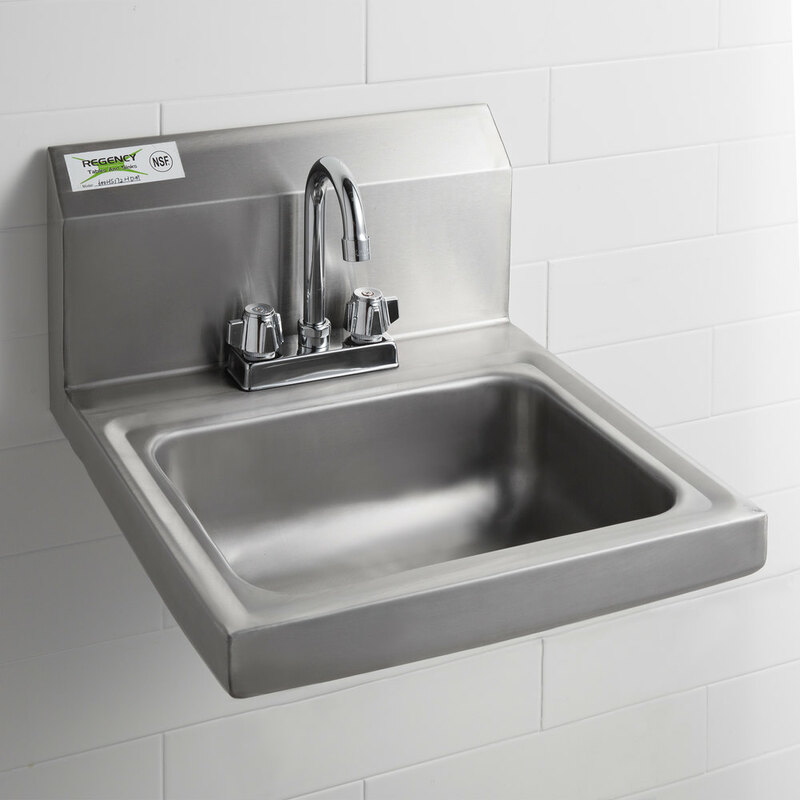 Suitable for wall or surface mounting, this sink comes standard with a single 14" x 10" x 5" bowl and 8" high backsplash. 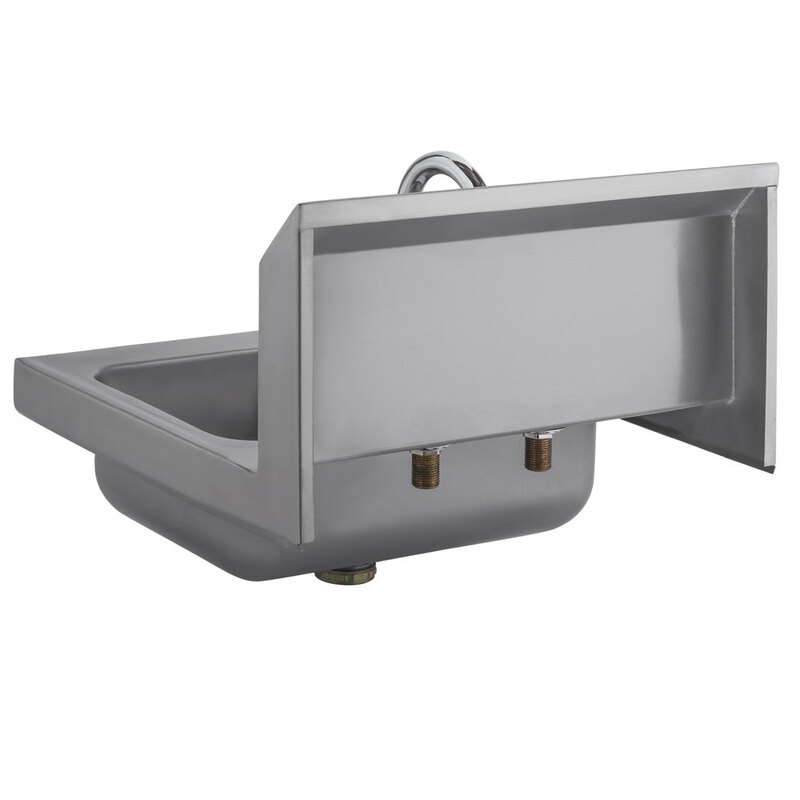 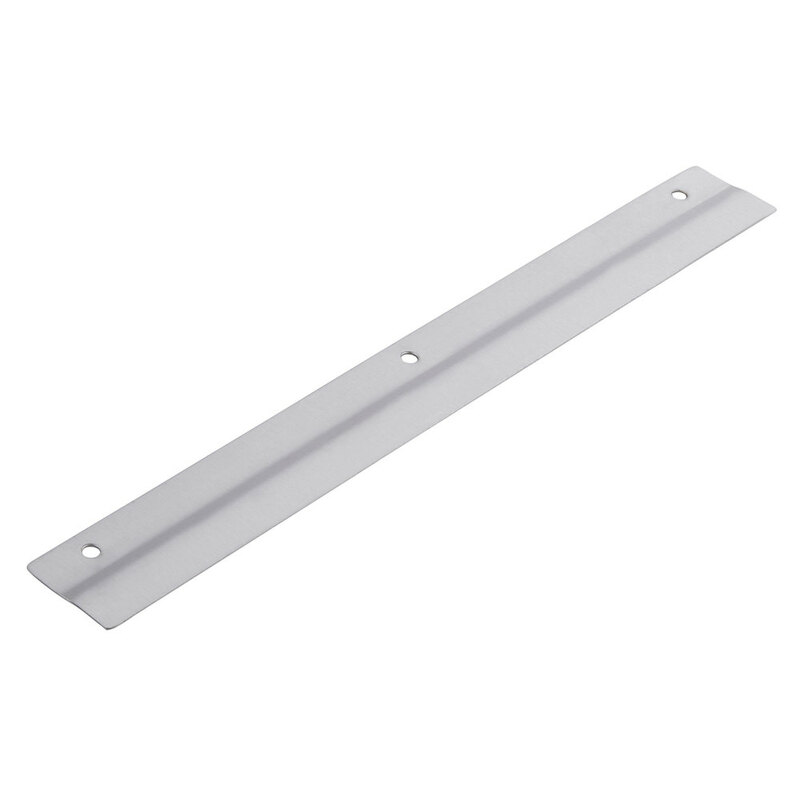 It comes with an 8" deck mounted gooseneck faucet with 4" centers so that you have everything you need to install it ready to go.